We made it! It’s now Sunday evening and I’m back with my lovely boyfriend in our lovely flat, with a body clock that’s incredibly confused.. But the holiday was fantastic so I’m definitely not complaining! I managed to get a bit of sleep but no where near enough to equal a ‘night’ but it is good to be back. 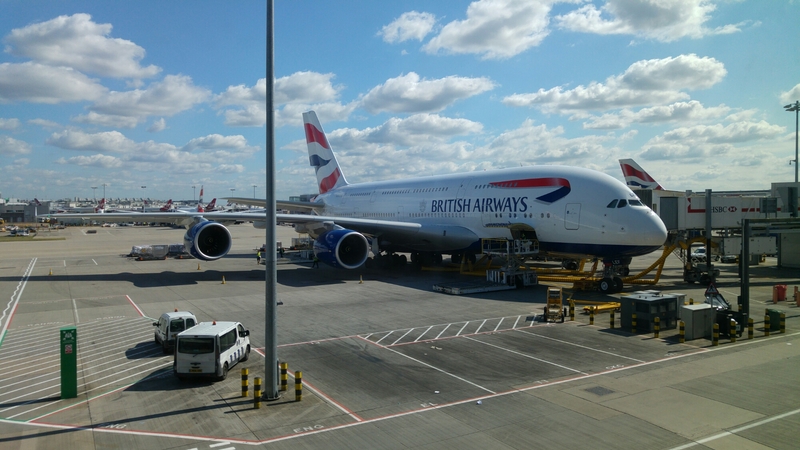 We were on this massive plane, a Boeing A380 – the first time I’ve ever been on one! But for now, Goodnight London!